I knew that when I started this project, there would be days where I just wouldn’t have time to get my entry done and up, and yesterday was one of those days, so today you get two stitches: Grit stitch and mixed grit stitch. 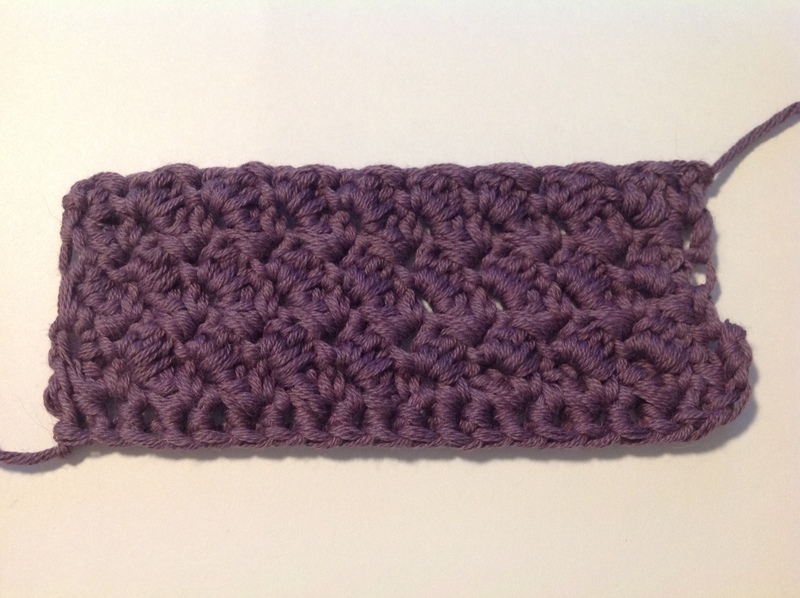 Grit stitch is so ridiculously easy, it’s just double (US: single) crochet twice, skip one and double crochet twice and so on. It produces quite a nice texture, nicer than I’d anticipated actually. There’s a slight bulge on the right because I think I counted the foundation row wrong. 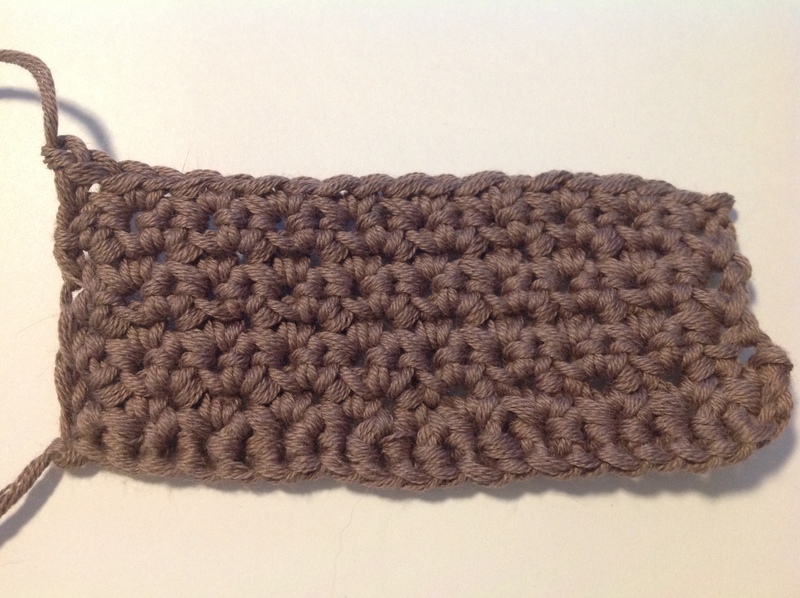 Mixed grit stitch is exactly the same, but instead of two doubles, you do a double and a treble (US: double). I really like this texture this produces, it’s lovely, and it’s a stitch I’ll definitely use again! Again, there’s an odd bulge on the bottom right, where I must be doing something wrong although I know that the foundation row was the length it was supposed to be.